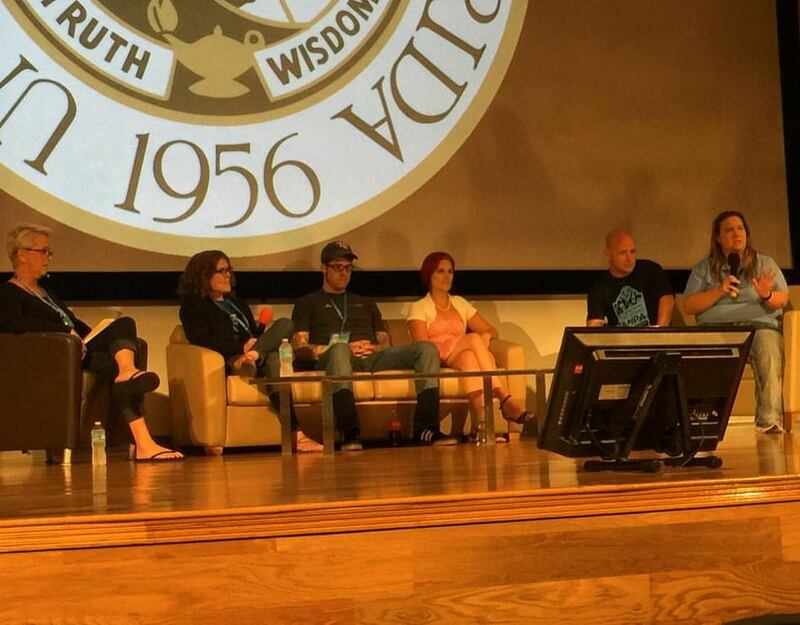 Yesterday, I had the privilege of participating in a panel discussion at WordCamp Tampa. The purpose of the talk was to discuss mental health issues that affect people who work remotely, or in similarly isolated environments in our community. Whether a freelancer, a remote employee, or an employee who is on a “team of one” in a larger enterprise, issues such as burnout, stress, fear, or depression, can be very real. With so many people in our community working remotely, it’s important to have these discussions at events like WordCamps so that people don’t think they are alone in dealing with whatever problem they are currently facing. Although you may work alone, you are not alone. Find people in the community who you can reach out to and share whatever is bothering you. Computers have an off button. Get out of the house, hang out with friends “in real life”. As panelist Andrew Norcross pointed out, Facebook and Twitter friends are not a replacement for real human interaction. Communicate with your clients and colleagues. If you have too much on your plate ask if deadlines can be adjusted a bit. If you’re working extra long hours to get everything done, you’re not working at your best. Set expectations as to when you should be replying to messages. Emergencies aside, clients should not expect that messages sent at ten o’clock at night will be replied to immediately. Pro tip: If you want to write e-mails just to get an issue off your mind, schedule it to be sent in the morning. It’s OK to take a sick day. If you worked in an office it would be normal to take a day off whether for physical illness or as a mental health day. You can do the same if you work remotely. Get exercise. This doesn’t mean you have to go to the gym, but you should do something. Bike, run, lift weights at home, anything. It’s amazing how little you move if you work at home all day. Think about how many hours you spend at your desk. You should invest in a proper office setup. That might mean an ergonomic office chair, or maybe a standing desk. Your body will thank you. If you are suffering from any issues related to mental health, talk to someone. If the issues are serious (mental health issues include suicidal thoughts) seek the assistance of a professional. Thank you to everyone who attended the panel, to Michele Butcher for asking to me join the panel, and to my co-panelists Michelle Schulp, Andrew Norcross, Rachel Carden and our MC/host Shelly Peacock. Finally, I would like to acknowledge Cory Miller who, in my opinion, has brought this discussion into the open in the WordPress community. UPDATE: As I write this post, news has begun to spread about the passing of Alex King, an original contributor to WordPress. Sadly, as the community grows, we have had to deal with death on a more frequent basis. Grieving for the loss of a community member is another mental health issue that unfortunately we will all encounter. As I said above, if you need to talk to someone to help deal with events like this, please do. We all want our friends and colleagues to be happy and healthy. This topic has to be talked about! There are so many that work in isolation and they’re not even in a team of one, on their own. They’re in a department of IT people and the thoughts of putting out crappy code, not communicating with others are detrimental to the individual and to the team. It drags down everyone. They don’t think it shows but it does. Thank you for sharing this Shawn. It’s a common misconception that remote workers enjoy work-life balance on a greater scale. The fact is most remote workers might feel isolated and ignored affecting their moral, mental, and even emotional state. Business owners and project managers should know how to empower their remote workers and establish trust which can be accomplished through internal and external communication. Everyone in our 4 member company works remotely. We communicate via chat and do video conferences to get feedback/help when we need it. In that sense I have not felt isolated or left out in the 5+ years of working this way. It does take a lot of discipline to avoid distractions or get carried away working all day. I have set myself an office hour schedule. After 5pm computer goes off and I’m offline for the day. Shutting down the computer is a healthy thing to do. What do you do about e-mail, text messages, etc. that go to your phone? I simply ignore it until next day. Thanks for a great, and rather open post Shawn!